Deathstroke, the insanely popular DC Comics mercenary is the newest addition to the Revoltech line up. Kaiyodo has released photos and details for their upcoming Figure Complex – Amazing Yamaguchi Revoltech Deathstroke Figure. The figure stands nearly 6.7″ tall and will have over 25 points of articulation. The figure includes multiple interchangeable hands, masked and unmasked portraits, a club, guns, two katana with sheaths, hand grenades and more. The Revoltech Deathstroke figure is scheduled for release in January 2019. The figure is priced at 6,980 Yen (about $61 USD). You can see the new photos after the jump. 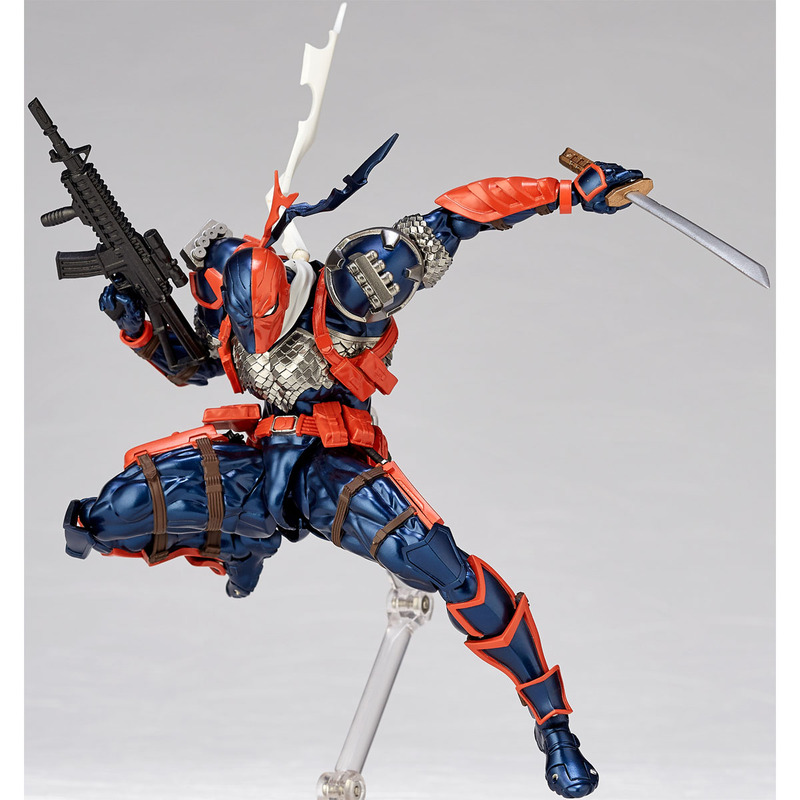 The post DC Comics Deathstroke Revoltech Figure appeared first on The Toyark – News.